Perhaps a chink of light may have shone through for the chasing pack in Croke Park on Saturday night. While it was only natural that the Dublin juggernaut wasn't running at full steam, given that this was their first test of any significance since their League final defeat of Galway on April 1, it's rare to associate the word 'laboured' with Jim Gavin's men. 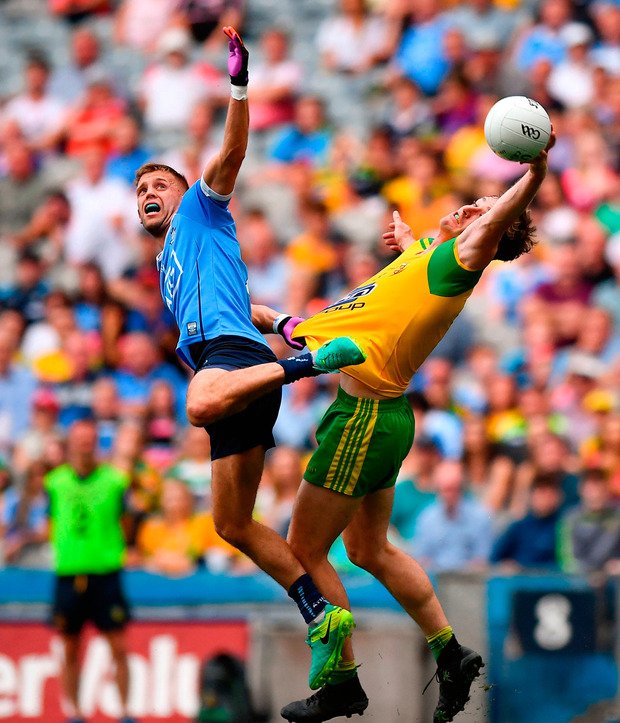 Sloppy ball handling when in possession and spurning four gilt-edged goal opportunities - two in each half - as well as subdued displays from the attacking trio of Con O'Callaghan, Ciarán Kilkenny and Paul Mannion, is abnormal for the Dubs. They are still ahead of the their challengers, but there was the sense that the gap may not be as wide as it once was - their forward firepower might not be as devastating as previous years with Diarmuid Connolly and Bernard Brogan both absent - and someone now needs to put their head above the parapet to foil their four-in-a-row bid. "It was just one of those days," Gavin said. "The performance won't be good enough going forward no matter who we play, be it Roscommon or Tyrone, so that gives us a lot to reflect upon. "I suppose the positive you can take is we kept our composure and we kept trying to work a score. That is all you can expect from them and we created a lot of chances in the game." With Jack McCaffrey and Cian O'Sullivan both returning from injury to make their first starts in this year's Championship - and Eoin Murchan replacing Philly McMahon - there's no doubting that plenty of room for improvement exists over the coming weeks, but it was an unsung hero who got them over the line as Niall Scully fired a goal in either half to give them some breathing space. The sides were level on four occasions before the first goal and things could have been a lot different had Michael Fitzsimons' last-ditch tackle on Jamie Brennan not forced the Bundoran attacker slightly off balance to blaze wide from close-range in the 27th minute. Scully netted just seconds later, as Brian Howard also showed his worth with a powerful opening half. That helped them to a four-point cushion at the break, 1-9 to 0-8, and when Scully sauntered through the Donegal defence two minutes after the resumption for his second to help them surge eight ahead, it looked like it could turn into a rout after threatening to be a belter early on. Four Donegal points in a row kept the All-Ireland champions honest, but they couldn't get any closer as Dublin chose to wind down the clock in the closing stages and kicked just one point from the 59th minute until the finish, as Paul Flynn and Cormac Costello impressed off the bench. The damage was done much earlier as Donegal's kick-out strategy malfunctioned somewhat. Keeper Shaun Patton was foot perfect in their race through Ulster, but nothing can prepare you for the Dubs and the pressure that they can put on the restart. They tried to unnerve the 22-year-old in his rookie season by pushing up on his first two kick-outs and forcing turnovers and when they put the squeeze on the space and timing of his delivery, they invariably got the result they wanted. While the Dubs collected 23 of their 25 kick-outs, Donegal struggled on theirs - winning just 15 from 25 with Patton looking rattled and Declan Bonner afterwards acknowledged the massive role which that deficiency played in the contest. 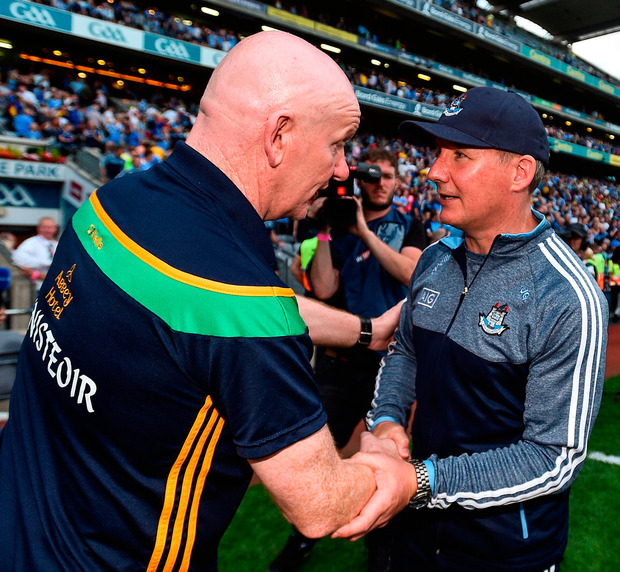 "Dublin squeezed the kick-outs, there's no doubt about it, it's a learning curve for Shaun. First year, really good Ulster campaign and he was outstanding throughout Ulster. We knew Dublin would be forcing the issue in terms of kick-outs," Bonner said. 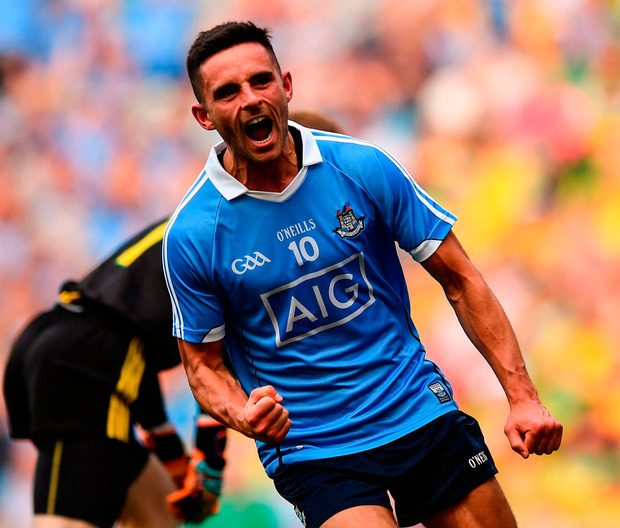 "That was a huge factor in the game today, not just our kick-outs but Stephen Cluxton. Getting hand on ball was always going to be crucial and they won that battle hands down." Bonner kept his charges in a huddle after the final whistle and was animated in his instructions, and for good reason. Despite getting to within four points, they never really went gung-ho for victory and Patrick McBrearty's absence with a cruciate knee ligament injury cannot be understated. "I just felt there was more in us, maybe it was that belief just to get over the line against Dublin. Maybe sometimes teams just don't perform like they should, maybe too much respect at times, but you're playing against a real quality Dublin side," Bonner said. While it was always going to be difficult to take home two points, they may have had one eye on next weekend's do-or-die clash with Roscommon in Dr Hyde Park, and preparations for that started on the bus journey home. "Our attention has to turn directly to Roscommon. It's a must-win match for us. The preparation from our point of view starts now, we head back up to Donegal and the laptops will be out and it will be analysing that game so there's no time to sit back and relax." Such is the quick-fire nature of the 'Super 8s', there's very little time to look back, as the Dubs make the mouth-watering trip to Omagh on Saturday. Gavin was also disappointed that defender John Small was unavailable for the Donegal tie after serving a one-match ban for a straight red card against Laois. "He hit the ball. He hit the ball first," Gavin said after Small's dismissal was upheld by the Central Hearings Committee (CHC). "We gave conclusive evidence that the ball was struck first and it was just an accidental hit, these things happen in a contact sport. "The next day that won't be good enough - 7-44 Tyrone have put up in two games," he added. "We will need to be putting up scores at the other end. That gives us something to reflect upon, it won't be good enough."